I’m just back from the annual Ministry Today conference. 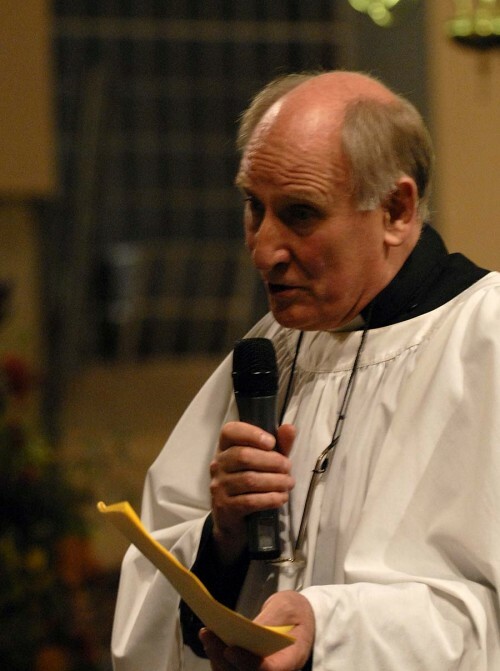 This year our speaker was Canon Julian Reindorp, recently retired from ministry in Richmond, Surrey. His theme was ‘Who Encourages Us?’ I plan to share one brief bon mot from his material each day for three days here. The first is this: in our first session, he claimed that the work of ordained ministry has never been more important than it is today. Well, that caught my attention. Why would he say that when our rôle is increasingly marginalised and valued less? For this reason: our calling involves building community – the community of Christ. Yet in our society, there is less and less community building. ‘Social capital’ is declining. Even previously social activities are now conducted alone, as Robert Putnam observed in his book Bowling Alone. So let us hold our heads up high. Whatever people may think, the church is engaged in the most crucial of activities, and we who serve that church in leadership are contributing something utterly vital to our society. Posted on May 17, 2011, in ministry and tagged Bowling Alone, Julian Reindorp, Robert Putnam. Bookmark the permalink. 4 Comments. our calling involves building community – the community of Christ. No, of course not, Lorna, but Julian was speaking to a group of ministers. To the above comments: Building the Community of Christ (because it’s out calling) doesn’t have to been done by an ordained minister… However; it’s helpful to the “sheep” to have a “shepherd” to help organise, instigate and lead that building – otherwise we’ll end up with the community of Christ being built on the sand. Yes, Hannah, start where you are, don’t wait for people to ‘come to church’, be an example of God’s love where you are and take his love to them in word and deed.